Basic Service – When your electric utility, Eversource or National Grid, is also your electricity supplier, you have a service called Basic Service. The Basic Service price is the price Eversource/National Grid uses to calculate the Supply part of your electricity bill. The Basic Service price changes every 6 months for residential customers and other small customers and more frequently for larger commercial customers. If you sign a contract with an electricity supplier on your own or you participate in an electricity aggregation, such as Sharon Power Choice, Eversource/National Grid will continue to deliver your electricity, but they will no longer be your electricity supplier, so you will no longer have Basic Service. Electricity supplier – An electricity supplier is a company that buys electricity on your behalf. The price that your electricity supplier charges appears in the Supply portion of your electricity bill. In Massachusetts, you can choose who your electricity supplier is. Your electric utility, Eversource or National Grid, can serve as your supplier. In that case, you have Basic Service, and your utility both buys electricity for and delivers electricity to you. You can select an electricity supplier on your own. In that case, Eversource/National Grid only delivers electricity to you. 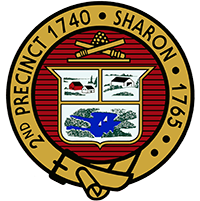 Your municipal government can establish an electricity aggregation and, with that program, the Town can select an electricity supplier for you, as with the Sharon Power Choice. In this case, Eversource/National Grid only delivers electricity to you. Renewable energy certificates (RECs) – RECs are a method of keeping track of renewable electricity. One REC is minted for every 1 megawatt-hour of electricity generated. RECs are tracked in a central database known as the NEPOOL GIS (generation information system). Electricity customers who wish to be able to say they are purchasing “green” electricity from the grid can pay for RECs in addition to paying for the electricity they use. Purchasing RECs gives an electricity customer the right to say she has used the electricity generated by the associated renewable energy systems, and no one else gets that right. Once a REC is purchased, it is then retired so that no one else can purchase it and lay claim to having used the same renewable energy. Opt up – To opt up is to choose an option in Sharon Power Choice that includes 100% renewable electricity. Opt out – To opt out of Sharon Power Choice is to leave the program. You have the right to participate in the program for as long or as little as you like, and to opt out at any time with no penalty or fee. Utility – In Massachusetts, an electric utility is an electricity delivery, or distribution, company. Electric utilities do not generate electricity. They purchase electricity and then deliver it to you, the customer. You have no choice in your electric utility; they have geographic monopolies. Your electric utility is either Eversource or National Grid.